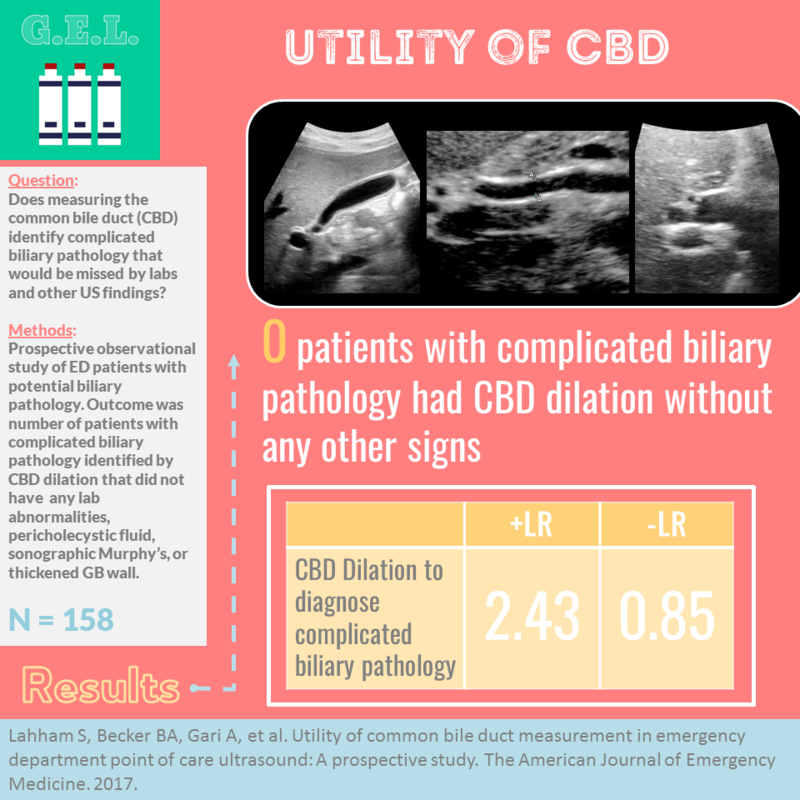 Measuring the size of the common bile duct is a standard part of the sonographic evaluation for biliary pathology. Sometimes this can pose a challenge as it is often very small when not pathologically dilated. These authors wanted to find out how important this measurement is when diagnosing complicated biliary diseases. Read on to find out - do we need to keep measuring this or can we forget about it? Not Just a Party Trick? There are many ways to skin a cat and there are many ways to confirm that your endotracheal tube in actually in the trachea. But aren't you tired of using those boring old techniques? 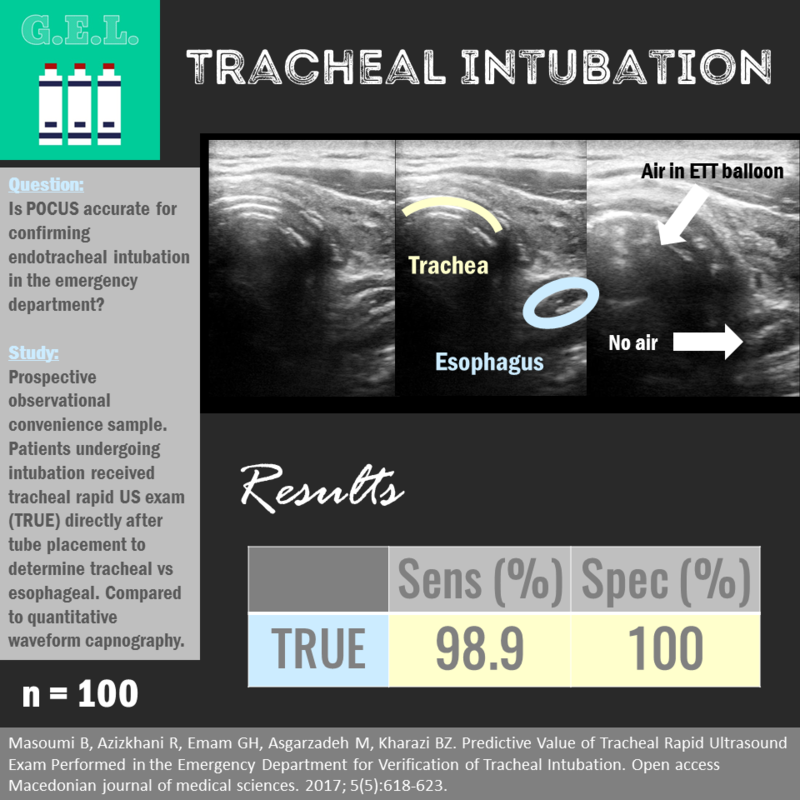 The idea here is that you can use point-of-care ultrasound to visualized the air-filled ETT ballon and potentially save time in confirming your endotracheal tube placement after intubation. This study aimed to determine the accuracy of this technique. 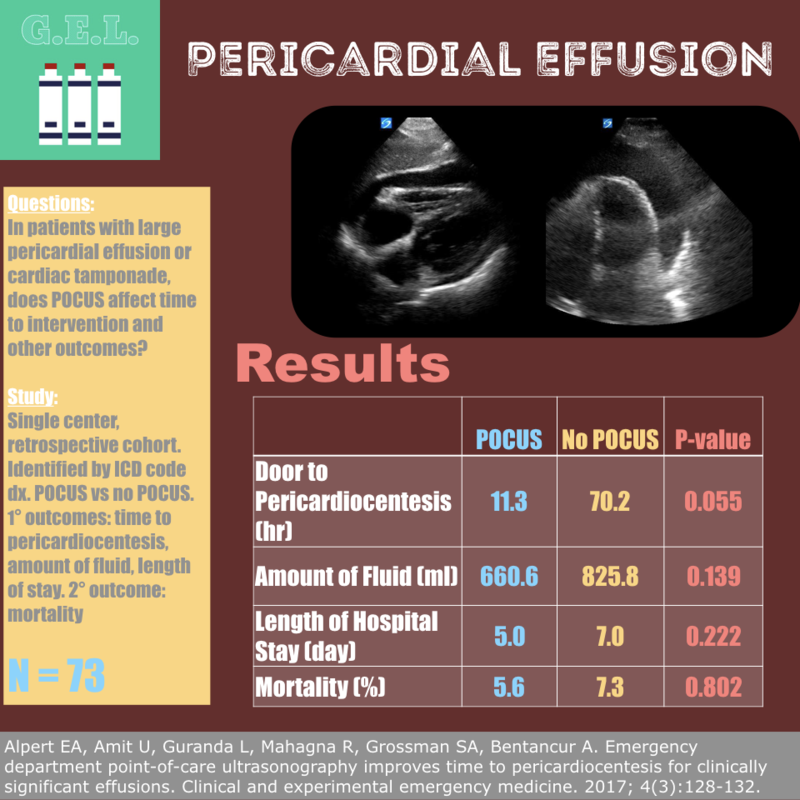 Pericardial effusions can be difficult to diagnose clinically. Luckily, ultrasound is the diagnostic of choice for finding those sneaky effusions. While we may know (in our hearts) that point of care ultrasound can be helpful in making this diagnosis, there is not a lot of literature showing improvement in patient centered outcomes. This study aims to see if performing a POCUS exam in the emergency department changed any meaningful outcomes for the patients that required a procedure to drain the fluid.